﻿ This post marks the 500th post for the Library History Buff Blog which started on November 17, 2008. Google Blogger maintains statistics on the use of its blogs. According to those statistics, there have been 162,720 page views of LHBB posts since it began. Note: the one thing that all of these blog posts have in common is that they were featured in American Libraries Direct. Thanks George. My library postcard collection includes Wisconsin libraries and unusual library postcards. 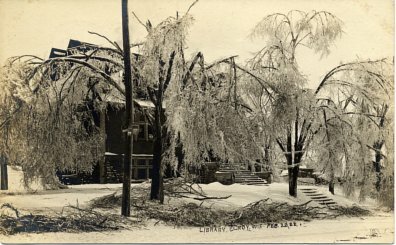 The postcard above showing the impact of the 1922 Wisconsin ice storm around the Elroy Public Library combines both categories. In February of 1922 Wisconsin experienced one the worst ice storms in its history. During that storm ice accumulations ranging from one inch to as high as four inches brought down over 15,000 communication poles and caused $10 million in property damage (an enormous sum at that time). Interruptions in power and communications ranged from 2 to 15 days. 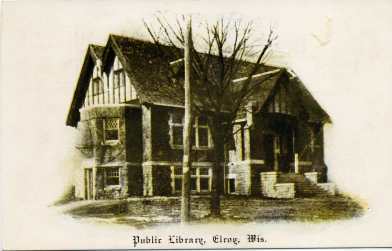 The Elroy Public Library still occupies the same building (with an expansion). It was originally funded with a Carnegie grant. An earlier postcard of the library is shown below. Note that the telephone or power pole in front of the library managed to survive the ice storm. Thorvald Solberg (1852-1949) was the nation's first Register of Copyrights in the Library of Congress. 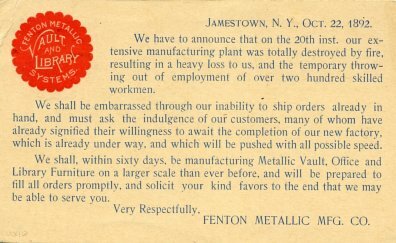 He served in that capacity from 1897 to 1930. Harriet de Krafft Woods served in the Copyright Office of the Library of Congress from 1900 to 1922. In May of 1922 she was appointed by Congress as Superintendent of Buildings and Grounds for the Library of Congress, the first woman to serve in that capacity. I recently acquired a postcard that ties these two individuals together in an unusual way. 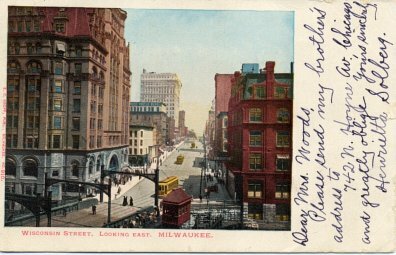 The postcard which depicts Wisconsin Street in Milwaukee, WI was mailed by Henrietta Solberg, Thorvald Solberg's sister, on August 1, 1904 to Mrs. Woods in the Copyright Department of the Library of Congress. The messages on the postcard reads: "Dear Mrs. Woods, Please send my brother's address to 742 N. Hoyne Av., Chicago and greatly oblige. Yours sincerely, Henrietta Solberg". Woods at the time may have served as an assistant to Solberg. She would eventually work her way up to become head of one of the Copyright Office's most important divisions. It is unclear why Solberg's sister didn't have his address. Perhaps he was out of the country on one of his numerous trips abroad. Woods only held the position of Superintendent of Buildings and Grounds for one month, from June 1, 1922 to July 1, 1922. That is because Congress abolished the position as a position appointed independently of the Librarian of Congress. 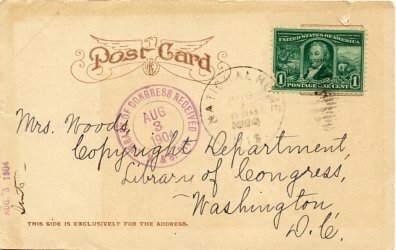 Woods, however, continued to perform the responsibilities for the position as an administrative assistant to Herbert Putnam, the Librarian of Congress. In his report for 1922 Putnam indicated that this change was one of the most significant events of the year. Also in his report, Putnam sang the praises of Woods. If you follow this blog, you know that I am a collector of librariana. Although my primary emphasis is on the collection of postal librariana, I collect a wide range of other library souvenirs and memorabilia. The golden age of souvenirs is generally considered to span the period from the 1893 World's Columbian Exposition in Chicago to the start of World War I. Coincidentally, this was the period when a large number of library buildings were constructed in the United States. This resulted in many souvenirs depicting library buildings, and the more prominent and spectacular the building, the more souvenirs there were that depicted the building. Souvenirs included postcards, decorative china, spoons, and a large variety of other items. Hands down, the library building that is most depicted on library souvenirs is the Thomas Jefferson Building of the Library of Congress which was completed in 1897. On its completion it was often characterized as one of the most beautiful buildings in the world. The Copley Square building of the Boston Public Library, completed in 1895, was a landmark in library construction and influenced library architecture for several decades. The Boston Public Library is one of the top three U.S.libraries with the most librariana. The Central Library of the New York Public Library completed in 1911 is the final member of the trio of libraries with the most librariana. In a recent eBay search there were 531 items related to the Library of Congress in the collectibles category; 470 related to the New York Public Library; and 392 related to the Boston Public Library. The largest portion of these items by far was postcards although there were also souvenir spoons and china. 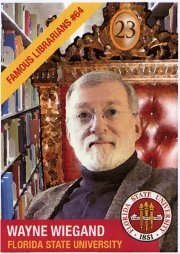 Norman D. Stevens in A Guide to Collecting Librariana (Scarecrow, 1986) confirms that the Library of Congress and the Boston Public Library are the libraries most widely represented on library souvenirs. Stevens' personal collection which included many examples of librariana related to these three libraries is now located at the Canadian Centre for Architecture in Montreal. I have a listing of his collections at the CCA on a web page devoted to him. Some of the items in my collection depicting the Library of Congress are shown above. 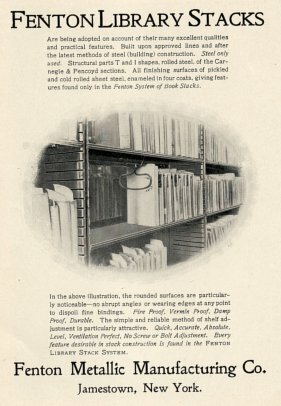 Images of items in my collection related to the Boston Public Library are located HERE. In Wisconsin the two libraries most widely depicted on librariana are the Milwaukee Public Library and the Wisconsin Historical Society Library. Some of the items in my collection related to the Milwaukee Public Library are located HERE.